Straight A’s and high ACT scores alone may not be enough to get students into their dream colleges. Adrianne Owings is a 2016 graduate of Episcopal Collegiate High School in Little Rock. 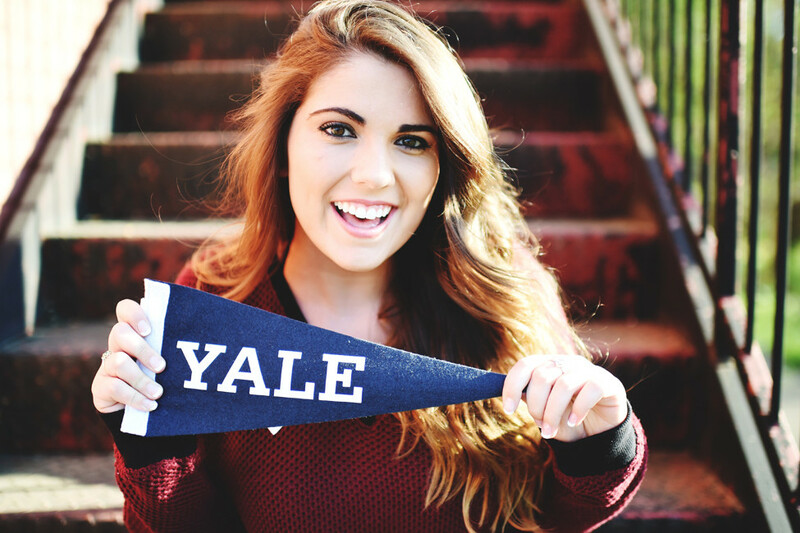 She now attends Yale and works as a college application consultant. Straight A’s and high ACT scores alone may not be enough to get students into their dream colleges. As the application process becomes increasingly more competitive and students vie for limited spots at Ivy League schools, it’s important for applicants to stand out in other ways. Owings is a 2016 graduate of Episcopal Collegiate High School in Little Rock and recently completed her freshman year at Yale. But her qualifications to speak on the matter of college applications aren’t just her own acceptance into an Ivy League school. Owings is an essay and applications specialist for CollegeVine and advises high school students throughout the college application process. Although she mainly works with high school seniors, the company starts mentoring students as early as their freshmen year of high school to prep them for the often intensive application process. Owings shared her insights and advice with Little Rock Family about how to work toward, apply and get into a great college. When should students start the college application process? What is the first step? Typically, the process of actually completing applications starts in the summer. The prompt for the common application and a lot of other applications are released in the summer. But the process can start as soon as freshman or sophomore year. As junior year progresses there’s a lot of narrowing down but the actual application work doesn’t start until the summer and fall. How important are extracurricular activities during high school compared to grades and test scores? If you’re applying to an Ivy League school, pretty much everything is important at that level because it’s so competitive. I’ve found that extracurricular (activities) help differentiate students who have the same sort of academics. Oftentimes you’ll see students who may be more academically proficient but if they have extracurricular pursuits that are interesting and they’ve invested a lot of time in, that can really make the application of that student stand out. That’s not to say that you should just do everything and make a laundry list. Really the best thing to do is find something you’re passionate about and invest a lot of time in it. Become really polished and successful and that seems to stand out more. What do you wish you had done as a high school student to make this process easier on yourself? In retrospect, I’m glad I did what I did, but I wish I would’ve had a little bit more fun. I stressed myself out in high school. You should enjoy high school as much as possible and I was sort of consumed in the numbers culture. I wish I had relaxed a little bit and had a little more fun. I think a big one for me was location … I was pretty sure I didn’t want to stay in state. I preferred the northeast or potentially the west coast. The northeast was somewhere I wanted to focus on. I’ve always thought about going to Yale just because I was very involved in theater for a long time and they have a very vibrant theater community even for undergraduates. I wanted a strong department in my major while giving me an opportunity to pursue the arts and I wanted a bigger school because I went to a very small school growing up. I’m two hours away from New York City, which is really nice. I wanted a more urban feel and I wanted a university so I had access to graduate school. How should applicants tackle admissions essays? When I’m working with students, what we focus on doing is crafting a story; a narrative that presents a comprehensive picture of the applicant. The (essay prompt) questions are really broad for a reason. The essays that are the most fun to read are the ones that dive into one story in particular that is really important to the applicant. The best thing is to include a lot of details and authenticities in order to make it stand out. Be specific. Tell a story that matters to you. Don’t tell a story that you think they want to hear because they’ve heard it all. Make it have your voice. How involved should parents be in this process? That’s definitely a family decision and it depends on the kind of student. I’ve seen a lot of people just go where their parents think they should go. I think finding a college that really fits and suits you well can really change your life. At the end of the day a decision about where to go or where to apply to should be the student’s decision. The parents should have a say … but the student should be the primary focus. What is the number one mistake you have seen students making as they apply for college? A lot of students feel like they have to go to a top school to do well. That’s not the case. Go somewhere that fits you. As long as it’s where you want to be and where you think you should be that’s all you can ask for. Forget about the rankings and the name. Go where you feel like you belong and everything will work out.